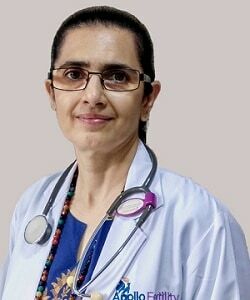 Dr. Brinda Kalro has completed her MBBS in Chennai India, then went to the UK and obtained her MRCOG in 1994 and FRCOG in 2007. She worked as a Specialist Registrar in the Assisted conception unit for a year. She was then accepted into an accredited Fellowship program in Reproductive Endocrinology and Infertility (REI) at Magee Women’s Hospital, University of Pittsburgh, US which I started in July 1997. In 2001 upon completing her fellowship, She joined the faculty at the same institution as Assistant Professor until a few years ago when she relocated to India. In addition to Reproductive Endocrinology and Infertility, She is now also interested in pursuing a career in Alternative Medicine. Her interests are Reproductive Endocrinology, Infertility, Adolescent and Menopausal medicine, and Fertility preservation after cancer, Medico-legal aspects of ART, and Bioethics in ART. She is also certified in Medical Acupuncture, Mind-Body Medicine, Hypnosis and Hypnotherapy which she currently practices.